Maybe your only experience with the medium is hearing of Twitter battles between Premier League football players, or maybe it’s smug Hollywood superstars tweeting group selfies from the Oscars as sponsored by Samsung. Perhaps you associate this particular social media with the very worst self-indulgent extravagances of the more ubiquitous Facebook, such as posting daily pictorial updates on one’s culinary choices. On the other hand, you possibly consider Twitter to be a source of up-to-date news and citizen journalism, a hub for people to convene online to share knowledge of current events, often as they happen. Conceivably, however, you are like me and have thought of Twitter as all of the above and more. 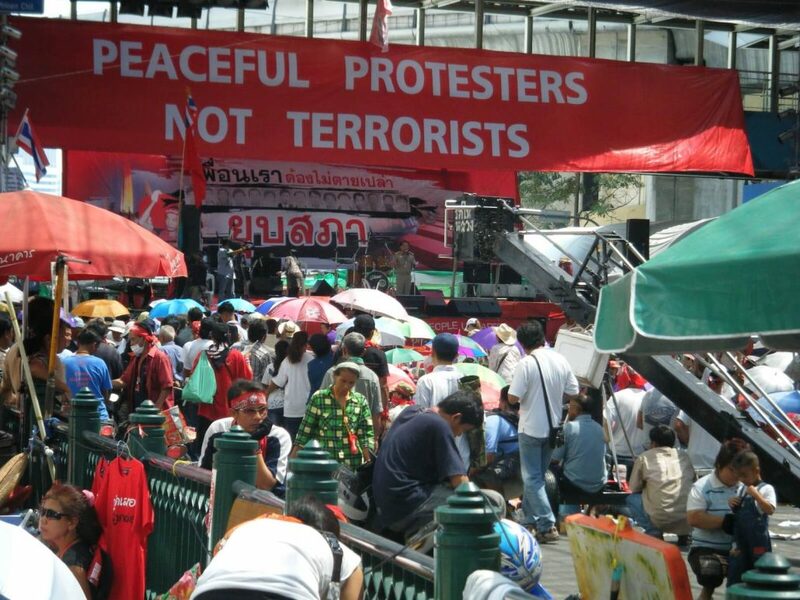 I initially came to use and depend on Twitter as a source of unfiltered, news on events in Bangkok where I had lived since 2008. In 2010, there was widespread political unrest and violence in the city which led to the deaths of 91 people. My and most of my friends’ Thai language skills extended no further than directions, ordering food, and talking about football. Twitter provided us with news from ‘people on the ground’ all over the city. Twitter users would post updates about what was happening in their particular corner of the city or share the updates of others for their own followers. Much like people would previously huddle around a radio or a television for news, we would often crowd around one person’s smartphone and read about whether violence was escalating or quieting down, where the flash-points were, and where it was safe and unsafe to go. This was repeated in 2013 and 2014 though to a lesser degree, thankfully with far fewer deaths. We also saw the rise of Twitter’s use in this regard during the events of the Arab Spring and London riots in 2011. More recently, I’ve come to see Twitter as something potentially integral to my professional and academic development. Professionally, it is a networking tool. You can follow people and become followed by those working in the field you work in or aspire to be a part of. If you produce content such as blogs or want to spread the word of projects you are involved in, this can be communicated to your followers, increasing your standing as an authority in your professional or academic field. The longer you’re on Twitter, the more you’re engaged. The more you’re then engaged by others, the greater Twitter’s influence becomes on what you do and how you can affect others. You create clusters of connections that develop through the unseen algorithms, parsing and distributing what you share to those who do similarly or have indicated an interest in your content in the past and vice-versa. You perhaps become a part of a ‘movement’ in a particular area. Maybe you share a great deal of content and produce materials and work on projects connected to Virtual Reality’s use in an educational context. You might become intrinsically associated with that movement, that field. People might seek you out for your views as a result. This may lead to offers of collaboration, of work. This is the very definition of professional networking. And you need never join a Rotary Club nor buy a round of drinks. Twitter has huge scope for creating interactions between people that want to hear what you have to say and then disseminate it. It is a medium where you can quickly share text, audio, and video. You can gauge people’s feelings on particular points and topics to inform your opinions or research. Though it’s a cliche, you can do all of this with not just those people that occupy your field in the same office, city, or country, but with people all over the world. This can contribute to the speed with which ideas develop and grow and are refined. Now, all of this is, of course, learning. You’re learning and you’re facilitating learning by others through the creation, dissemination, and consumption of the content shared. Twitter is perhaps a reduced, refined example of what George Siemens conceptualised towards the end of 2004 in his work Connectivism: A Learning Theory for the Digital Age. 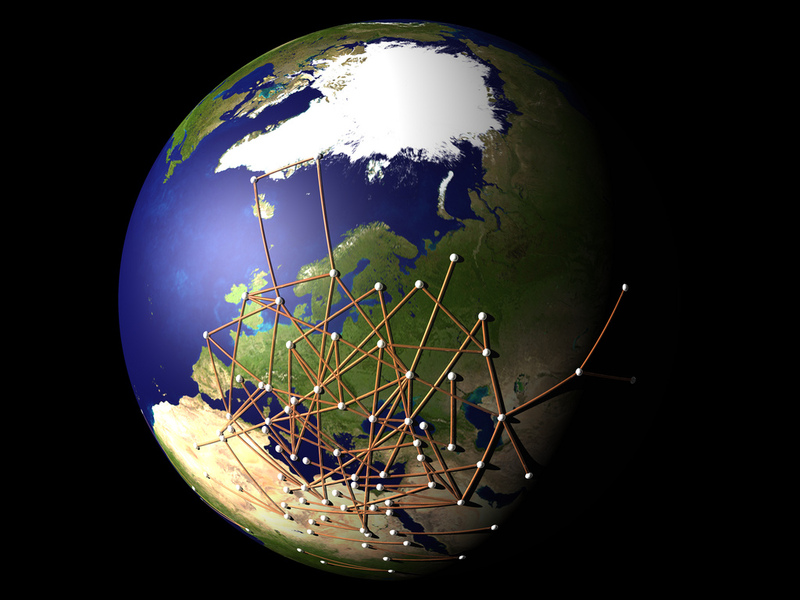 Connectivism considers the connections we create through which we learn. The ways in which we find, evaluate, and use information from the sources that we cultivate. In this sense, Twitter could be perceived as a very powerful resource, albeit potentially a very messy one. We have to often sift through the detritus of click-bait, promotional articles, and misinformation before we understand what is valuable, what furthers our knowledge and should be shared to further the shared understanding of others. Nevertheless, I think many, particularly those unfamiliar with Twitter’s general use in a professional scenario, may feel rather blasé with the notion that Twitter could be perceived as an educational tool. Even considering the above, they might argue that it is purely a medium, a communication tool that could be replaced by a number of other websites and applications. And that’s probably true. However, what is becoming more and more apparent is how widespread its use has become and, as an ancillary benefit of that, how well so many other applications and websites can be integrated with Twitter to serve educational needs. The needs of giving and receiving information and opinions, their subsequent analysis and discussion, and the redistribution of that analysis and discussion to enrich the learning process in very efficient and engaging ways. IFTTT is a free service that offers users of web services such as Twitter or Facebook the opportunity to create interactions, called ‘recipes’. These recipes are conditional statements, hence the name ‘If This, Then That’, where when one action happens on one web service, it triggers another action on another. An example in an educational context might be that a lecturer tells their students to follow his Twitter feed but also sign up for the Pocket service, a website and app with which users save and organise websites and articles to read later across multiple devices. The lecturer might instruct students to set up a Twitter to Pocket IFTTT. Then, every time the student scans Twitter on their smartphone and sees a post in their feed where there is a link of particular interest, perhaps academically, they can like that Tweet and the content will be saved to their Pocket. They could then have a repository of up-to-date stories and articles of interest to read later on any of their devices and demonstrate that they are current with the news and developments of their field. 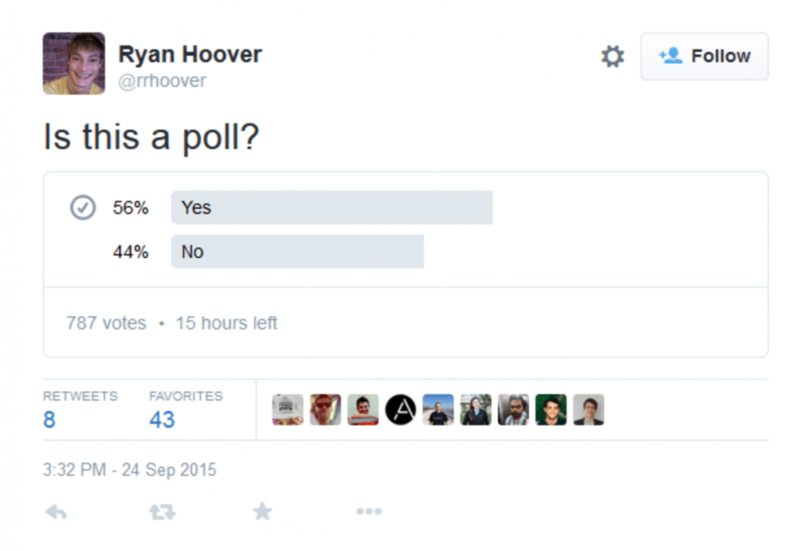 Some of you may already know that Twitter has a polling feature. This is one way that educators might try and leverage the trend of students bringing their own devices to educational institutions, a trend often identified as the BYOD movement. For example, a lecturer might want to gauge opinions on the content of his lecture or establish whether students had understood a particular concept. He might then Tweet a poll on this which students can react to. However, does that really beat just a show of hands in the room? Also, not all students will have Twitter accounts, so there are alternatives such as Poll Everywhere that offer this plus more functionality for users that don’t need to be signed up to a pre-existing service. In this respect, I feel Twitter might often be better served asynchronously, for communication out of the classroom and lecture theatres. Maybe a lecturer or student might want to gauge people’s opinions on a particular assignment. From a lecturer’s perspective, they may want to know if people have considered how a particular piece of recent news might affect what’s being written in a given assignment. Also, a student might want to draw everyone’s attention to the fact that this development has occurred and to be mindful of it when writing said assignment. One of Twitter’s great strengths is the simplicity with which users can compartmentalise content. Despite the fact that the hashtag has become something of an annoyance in much social media #justsayin, the use of hashtags in conjunction with tweets is an excellent way of corralling posts into an easily viewable space. Imagine that an educator directs students to write individual reflective blog posts on their personal experiences with crime in the UK. When done, they tweet links to their blog posts with the hashtag #mylifeofcrime. The students can then click or search for that hashtag link to be presented with a list of links to their classmates’ personal reflections on the topic, deepening their understanding of other perspectives on the subject. Educators can set up Twitter Walls with services such as Tweet Wally. A Twitter Wall is simply a collection of tweets that contain those specific hashtags. A history professor might ask students to tweet descriptions of his or her chosen attire that day with the hashtag #ratemythreads before displaying the tweets collectively on a large in-class display and using the content to elicit a discussion on the history of clothing and textiles. Hashtags could also be used by students themselves to compartmentalise questions and answers on particular subjects so that everyone can benefit from each other’s help and clarification of points of interest and difficulty. One engaging way that Twitter has been used is for students to take on the identities of famous personalities from history or characters from literature and communicate with others. Imagine a group of history class students formulating a Tweet describing Churchill’s thoughts on the Normandy Landings and another group formulating Roosevelt’s response. Or Macbeth Tweeting his feelings of guilt to Lady Macbeth which she duly responds to as would be appropriate to her character. This is an excellent way to make learning deeper and more engaging for learners. 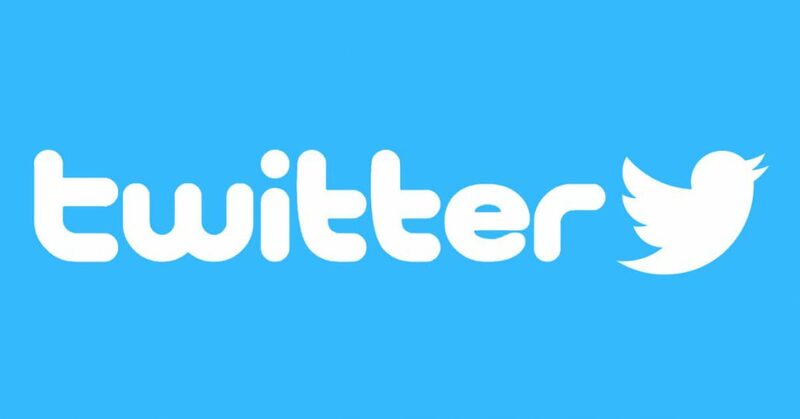 Groups of students could create separate Twitter accounts for characters but that become problematic in the longer term. Alternatively there are services such as Group Tweet which allows multiple authorised Twitter users to tweet from a single Twitter account. Twitter’s weakness for many is the enforced brevity of the medium. As of writing, the character limit for Twitter is 140 characters. Which is enough space for me to write this and then a little bit more as well as this and this and perhaps this and this and finally this. And that’s without adding any hashtags or URLs. However, this forces people to be concise and direct. Give the information that matters as well as you can. Some educators have leveraged the concise nature of Twitter to give and elicit bitesized pieces of learning. A foreign language teacher, for instance, might direct students to follow their feed for the week where new vocabulary and their definitions are added with the hashtag for that word. Students may then respond to that tweet and write a sentence incorporating that new word along with the hashtag so that others students can see a collection of the sentences later. This reinforcement of that small sliver of new learning would make it far more likely that the word would be learnt and be able to be used later in context. The students themselves might like to add their own words for others to try and utilise in a sentence. We Twitter users need to be careful, however, particularly if our Twitter personal lives overlap with our professional ones. One thing someone said recently that is a good rule of thumb, perhaps, is ‘Never say anything on Twitter that you wouldn’t want to say to your gran’s face’ #gransface. 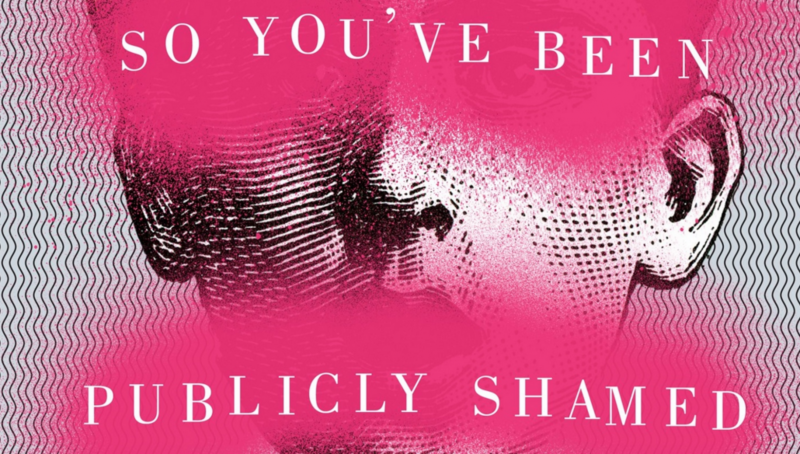 There’s a book by the excellent Jon Ronson called So You’ve Been Publicly Shamed that discusses the modern phenomenon of public shaming, especially as a result of social media use. For instance, there’s the case of Justine Sacco who posted a tweet revolving around Africa, AIDS, and her race before getting on a twelve hour flight. Justine discovered upon alighting at her destination that her tweet and her social media identity had circumnavigated the globe many times over and her career was essentially ruined. I myself have recently skimmed through my Twitter history to check for anything that maybe crosses or even straddles the line of good taste and professionalism. I would have to admit that my humour in general can be more than a little irreverent and I have certainly compartmentalised my social media life into Facebook and a free blog for personal matters such as politics, football, and general ‘social commentary’ and Twitter and e-learningmatters.com for my professional and academic online presence. I am possibly considering having a second Twitter as I see many others do because, well, we all have to let our digital hair down every now and then. There is not a unanimous chorus of approval and support for the adoption of social media in educational contexts. Naturally, older educators and academics will have developed ways of working over many years. With social media’s widespread adoption being a relatively recent development, it’s natural that there would be at best a reserved response to integrating the use of services such as Twitter into their work practices and at worst outright vocal resistance. This is a good point, of course. However, this arguably falls outside of the control of the educator unless they impose a strict no devices rule in his classroom or lecture theatre. While for many learners this may promote the focus Anonymous speaks of, it is also at the expense of the benefits that using these devices in conjunction with learning can bring, such as making notes, searching for clarifications of certain points, or even recording the proceedings for future review. This unilateral approach may also result in a degree of resistance in the learners’ minds to the educator, their approach, and materials in general. When we are discussing education in a higher or further education context, we have to consider that we are dealing with adults. Adult learners can make their own decisions and often tailor their learning interactions to suit their learning styles and approaches. If learners are using their devices to play Flappy Bird on their iPad as opposed to listen to the lecturer’s analysis of the Suffragette movement, well, on their head be it. You can lead a horse to water as they say. There is more than likely some truth in this but he sells the former point short to drive home his bitterness regarding the latter. How we can create digital recordings, images, texts of everything we can produce to disseminate freely and almost instantly is one of, if not the greatest development that technology has wrought in the field of education. That some people may be using the assorted media and mediums of communication to try and further their career at the expense of the less inclined would be a small sacrifice. Anonymous would do well to bear in mind what must be the golden rule in the use of any tools, digital or otherwise, in teaching and facilitating learning – that you only use something if it has a pedagogical basis. The positives and negatives of the use, integration, and promotion of tools such as Twitter must be weighed up against the audience, the target learners. If the use of Twitter, social media or any of the above tools promotes learning, improves engagement, enhances the ability of learners to be exposed to and absorb new concepts, information, and methods, then there is little to debate. Though there is naturally the flipside to that coin. We as educators should not be so enamoured with the possibilities and the potential of our new toys and whatever trends are apparent, that our minds are clouded and we use them to the detriment of our work. Our students are our customers, and thus they are our employers. Everything we do, has to be for them.